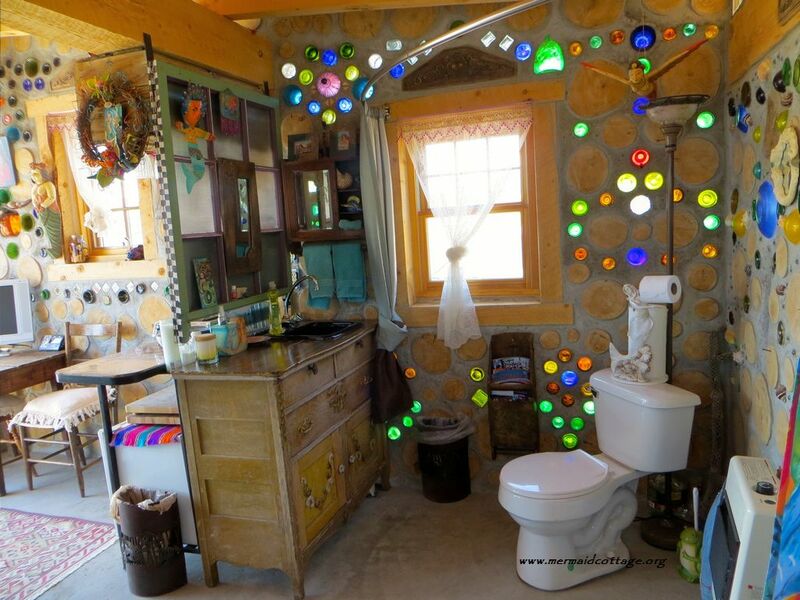 Does Cordwood belong in the Bathroom? You bet it does! 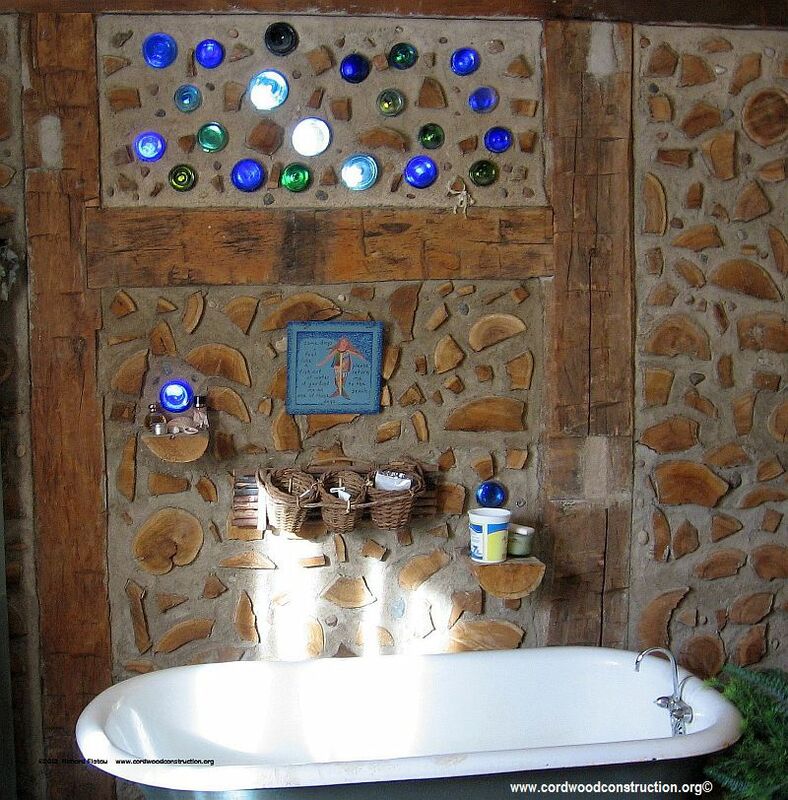 Many people want to examine what possibilities they have with cordwood in the bathroom. 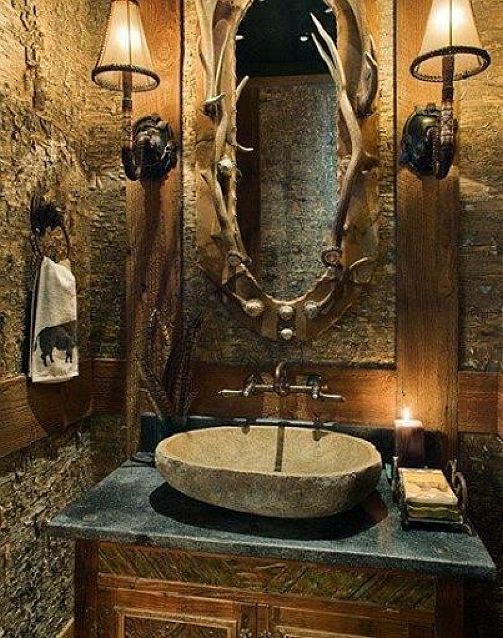 Quite a few folks who live in cordwood homes or have a cordwood motif (like a cordwood floor or countertop) have done creative and amazingly beautiful things in their bathrooms. Here are a few examples. Above is KimAnna’s gorgeous Mermaid Cottage in Colorado. She made a wonderfully decorative visual splash with bottle ends, ornaments and move-able curtains (for privacy). Julie in Minnesota has created a soaking tub for reflection and contemplation. The cordwood barn beams add the mass and the cordwood & bottle ends, the muse. 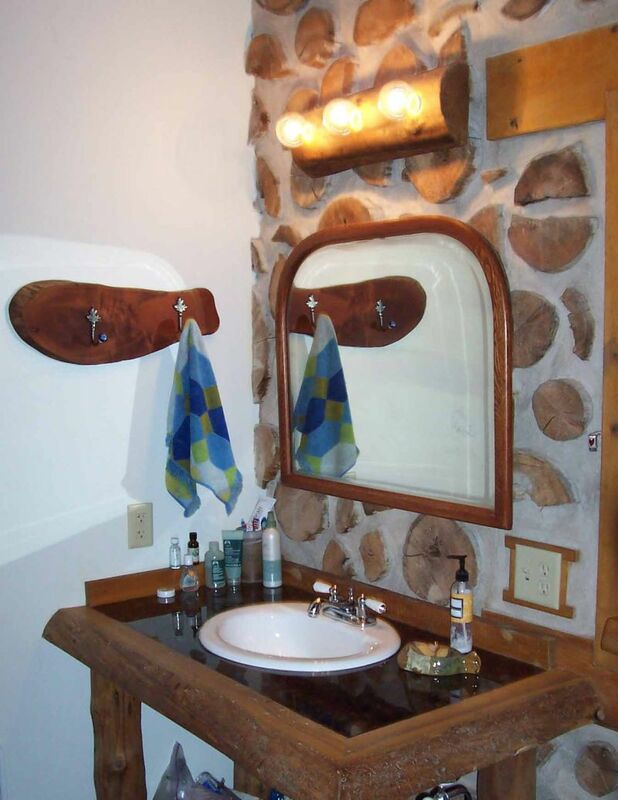 John in Michigan has created a very attractive sink area with a cordwood wall and a sink top infilled with Lake Superior stones. 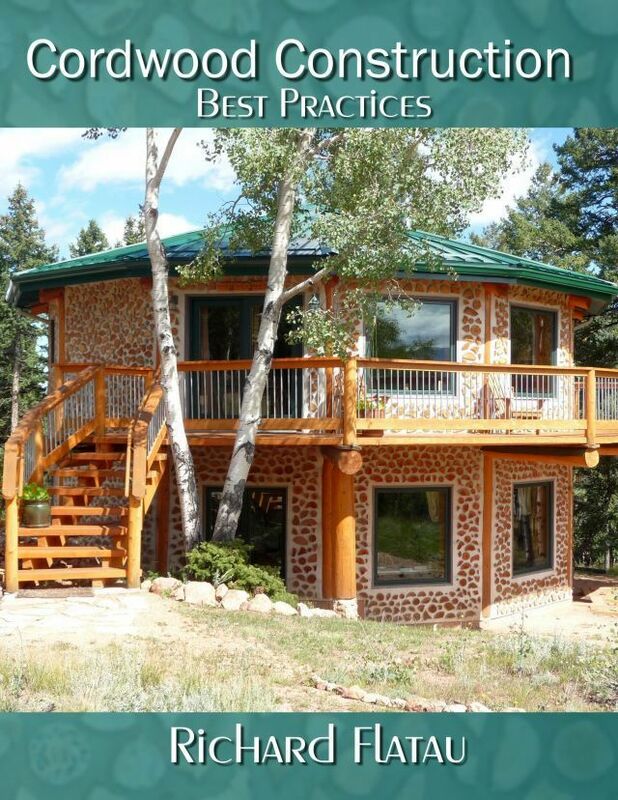 One word of CAUTION: Never use cordwood as a shower wall or where it will be in contact with moisture. Only bad things can happen. The cordwood wall will hold moisture and foster rot, mildew and mold. 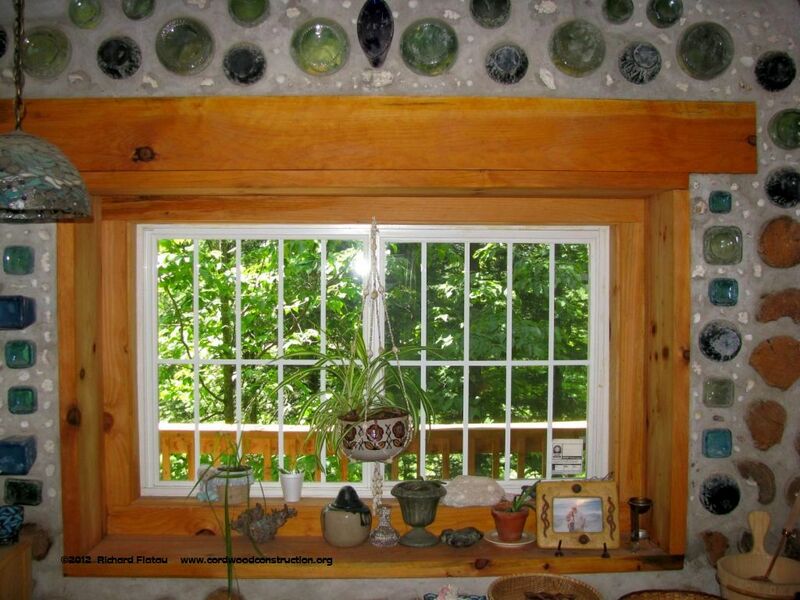 We have a cordwood wall in our bathroom, but it is NOT in contact with any water source (like a shower or a faucet). It is important to separate the two. Use an impervious membrane (like a shower stall to control the moisture). 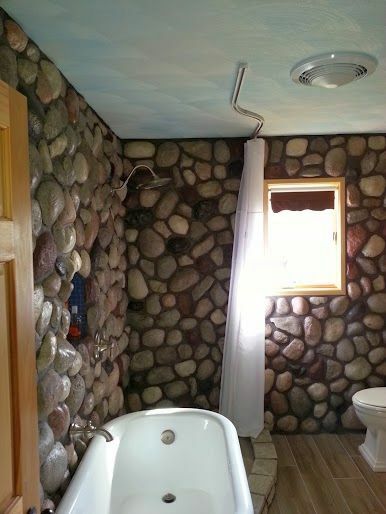 Steve and Sharon have created a real-stone-wall bathroom with wooden floors, a shower and birch cabinets. KImAnna has an entire wall that is masonry and bottles (with a shower drain) for her bathroom. This way NO water comes in contact with the cordwood. “Bill Jarratt can do anything” and he proved once again that he is the master of the cordwood countertop. This gorgeous second story bathroom window is filled with sea shells, bottles and glassware that adds a luster and sunshine to the morning. 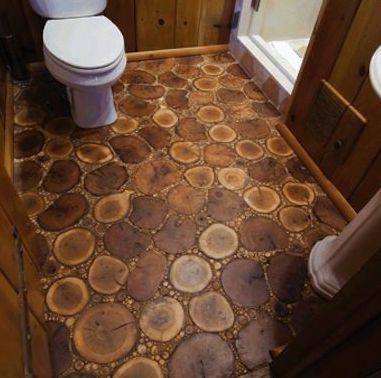 A cordwood floor is the perfect compliment to the white porcelain. The chickadee effect is understated and blends perfectly with the white birch cabinets. Another view of Bill Jarratt’s masterpiece. If you want to go with a “Man Cave Theme” here is a fine example. 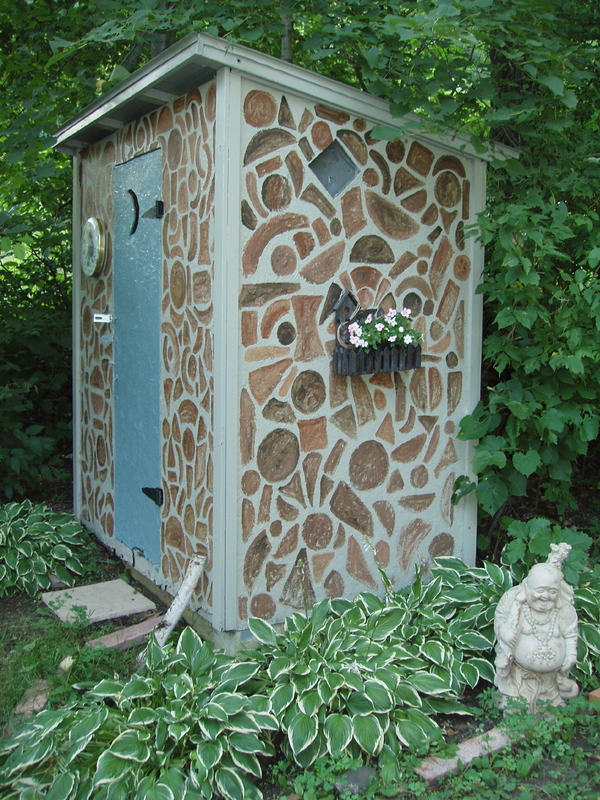 When you want the whole bathroom OUTSIDE, here is Marcus’s cobwood privy in New Jersey. 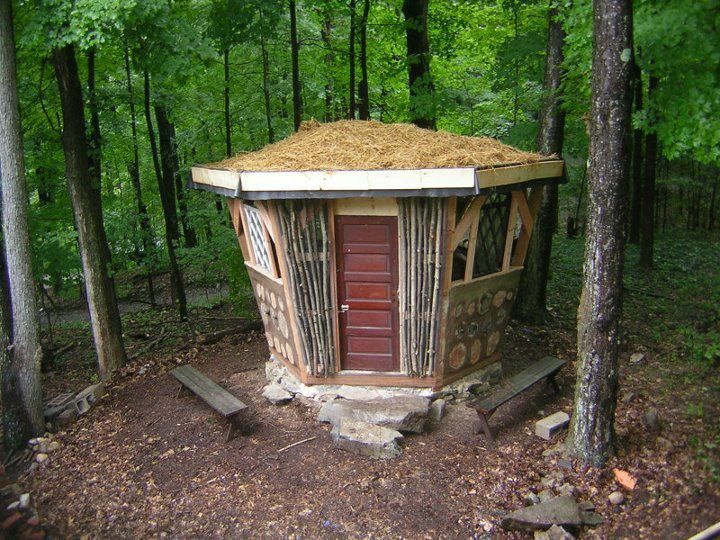 Cordwood has become a way to make a statement and build something unique and individualistic for yourself. If you would like to learn a little more, please consider checking out the website www.cordwoodconstruction.org Click on the pictures and read the articles in the pull down menus to get even more ideas. 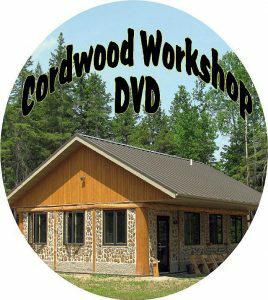 Should you be looking for a book on the subject, check out the latest on the subject at the Onlinc Cordwood Bookstore (also available in ebook and print). Click on the book cover once you arrive at the website to be taken to the Bookstore.